Google plus is one of the favorite social media sites in the world. If you are a blogger you will observe that Google plus and twitter are the main social media platforms to generate targeted traffic. So, to get free Google plus followers we will do some Google plus optimization. Google+ founded after the Facebook but it is one of the fastest growing social networking site in the world. As people are not using Google plus only for chatting but people are mature enough and professional here. People join related communities on G+ and shared their particular post links with which they get lot of targeted traffic. In one of my previous post I shared the trick to get unlimited likes on facebook status and fan page. By seeing the overwhelming response on that post I got inspired and this inspiration makes me write another post for you i.e trick to get unlimited Google+ followers. So, just think for once, do you want more followers ? 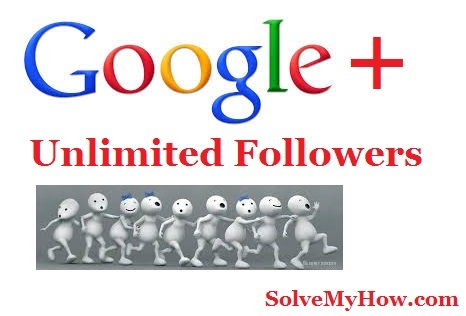 do you want free Google+ real followers ? do you want more people like your G+ post ? do you want more activity on your wall ? do you want to increase no. of views of your profile? If you said yes for all the above question. Then, simply follow the steps written below ! The trick I'm sharing with you, you will get 100% real followers. Means I don't have any script or bot which can run automatically and even that kind of scripts doesn't exist. So, in this trick you manually have to do some stuff and guaranteed you will get 100 to 1000 Google Plus followers daily. This is very awesome trick and give you targeted followers by just doing 8-10 minutes of research. Means if you want blogger's and SEO people to follow you. Then this is possible with this trick. Select any of the 4. I recommend you to go for "Alltime". 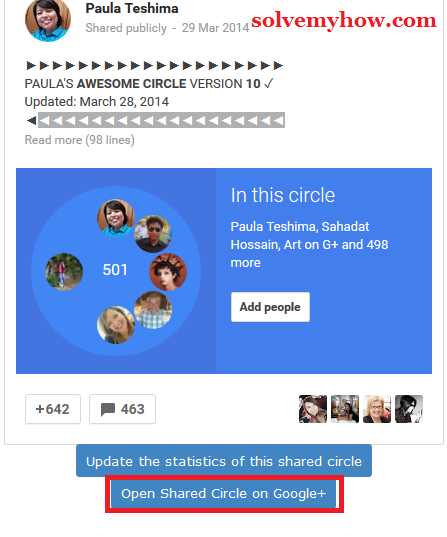 Now it will show you some of the best circle on G+. These are very strong profile id's, you can see their Followers, Re-shares, +1's and comments they got. I search for "blogger". You can search according to your niche or you can also go with the default. Now click on "details" button to see more stats. It will show you detailed followers history etc. Now click on add people or instead, click on "open shared circle on Google+" and simply add to circle to get followers on Google Plus. P.S It is recommended to "create new circle" instead adding them in existing one. Login into your G+ profile id. 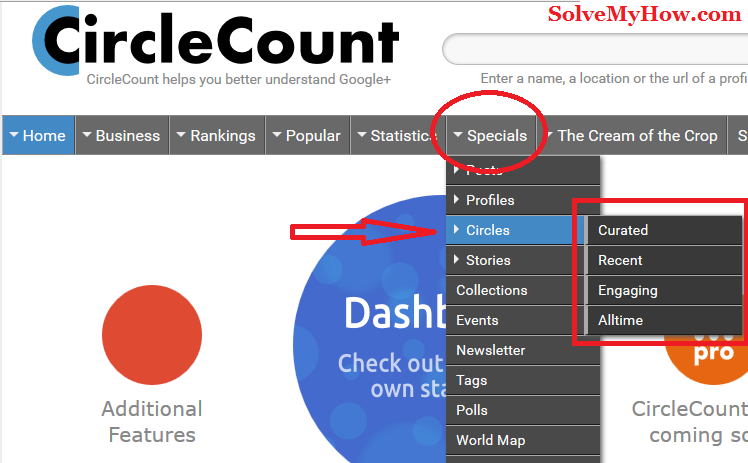 Step 2 :- Now type "#SharedCircles" in search box. Simple type it and hit enter. 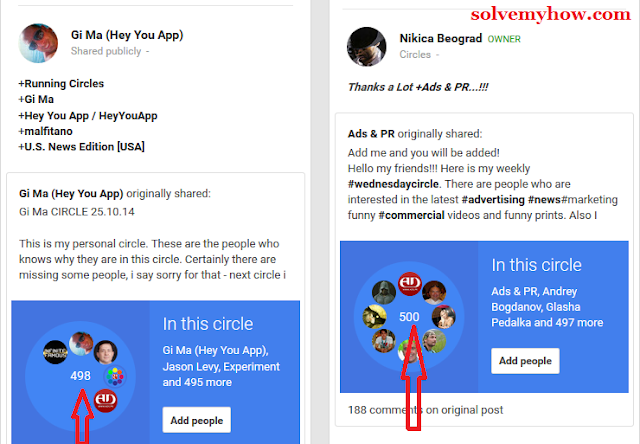 Now you will see long list of various Google+ circles shared publicly. Select any circle and simple click on "Add people" button. 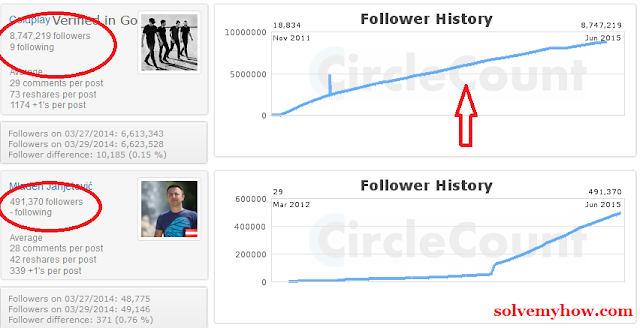 But to get more followers make sure they have 300+ members in circles. You can also read description of the circle before adding it. 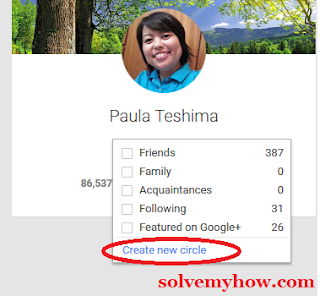 So, finally when you decided to click on "Add people" button, make sure your create "new circle list" as I shown in trick 1. After sometime you will see lot of notification, people following you. So, these are 2 simple tricks on how to get followers on google plus. Hope this tutorial will help you in increasing your G+ followers. If you have any query, please do let me know in the comments below. You can also subscribe for SolveMyHow newsletter to get free updates on Hacking, tips and tricks, blogging and SEO. Found this tutorial interesting ? Please shoot the social media buttons below, to share this tutorial with your friends after all "sharing is caring".